*Tensile property requirements vary based on orientation, section thickness, and cognizant engineering organization requirements. 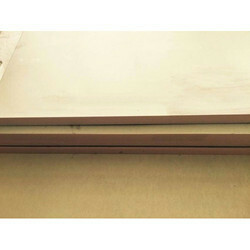 By keeping track with the market development, we are offering optimum quality Titanium Plate AMS 4911. 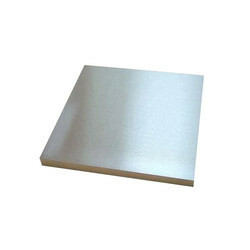 This titanium plate is used in various application such as textile machinery, marine industry, aerospace industry, sport equipment, medical industry an heat exchangers. 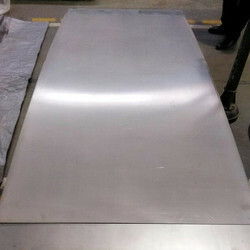 Besides this, this titanium plate is checked by quality controllers before dispatching from our side. 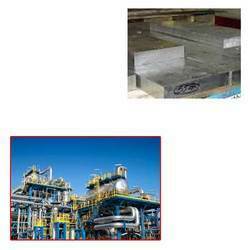 The offered titanium plate is comes in varied specifications & customized options as per the requirements of customers. Alloy 6AL-4V is used extensively in Aerospace, Medical, Marine, and Chemical Processing. It is used for connecting rods in internal combustion engines. Please note, the MIL-T-9046 specification covers various Alloys and Conditions. 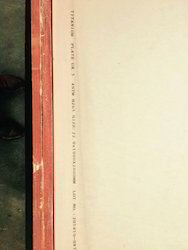 This Spec Sheet is only for the Alloy and Condition listed above. Our firm have emerged as one of the most prominent names in the industry, engaged in manufacturing, exporting and supplying a comprehensive range of ASTM F136 Ti-6Al-4V ELI Medical Titanium Plate . Specialized processing technique, ultrasonic tested. Chandan Steel World is known worldwide as a leading supplier of quality titanium aircraft sheeting. 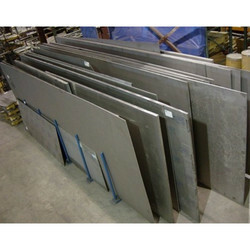 We carry a great selection of aircraft titanium sheet in a variety of specifications. Browse our vast selection of titanium aircraft sheet here or get in touch with a Chandan Steel World professional for a personalized quote on your next titanium aircraft sheeting order. 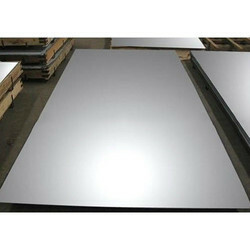 Titanium Grades 1-4 are unalloyed and generally known as CP (Commercially Pure). The tensile and yield strength of titanium generally increases with the grade number. Titanium is 30% stronger than Steel but nearly 50% lighter and although Aluminium is lighter, Titanium is stronger and has excellent strength retention. Due to Titanium's weight, strength and high corrosion resistance it is very popular in various manufacturing industries from aerospace, medical, shipping, military etc. 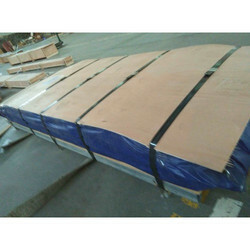 Titanium CP Grade 4 is available in: Bar, Billet, Extrusion, Plate, Sheet, Strip, Wire, Pipe, Forging Stock and Tube. For all stock and size availability contactSales. Titanium CP Grade 3 is available as: Bar, Billet, Extrusion, Plate, Sheet, Strip, Wire, Pipe, Tube, Rings and Forgings. For all stock and size availability contactSales. 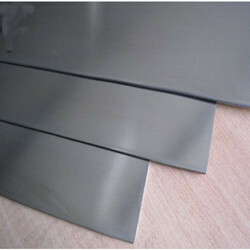 We are manufacturing and supplying wide assort of Titanium Plate for Chemical Industry. These offered range are highly appreciated by our client's in the market. Moreover, we offer our products in affordable rate. Chandan specializes in the supply of all aerospace grades of titanium, including commercially pure. Chandan supplying titanium to the aerospace industry, medical industry and petroleum-chemical processing industry. 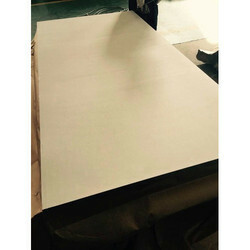 We have become a premier international supplier of all titanium raw materials: titanium sheet, titanium plate, titanium rod, titanium bar, titanium coil, titanium tubing, titanium ingot, titanium extrusions, as well as titanium castings and forgings. providing high integrity titanium meeting the material requirements of the most demanding industries. Titanium is 30% stronger than steel, but is nearly 50% lighter. Titanium is 60% heavier than aluminum, but twice as strong. Titanium has excellent strength retention to 1,000 degrees Fahrenheit. Titanium is alloyed with aluminum, manganese, iron, molybdenum and other metals to increase strength, to withstand high temperatures, and to lighten the resultant alloy. Titanium’s high corrosion resistance is also a valuable characteristic, as when exposed to the atmosphere, titanium forms a tight, tenacious oxide film that resists many corrosive materials, particularly salt water. In the 1950s, the titanium metal industry was established primarily in response to the emerging aerospace industry which used it in the manufacture of airframe structural components and skin, aircraft hydraulic systems, air engine components, rockets, missiles, and space craft, where these properties are invaluable. The military also uses titanium in its guided missiles and in artillery. As the 1970s approached, the cost of titanium products dropped, making it more available for other practical applications such as shipbuilding: primarily in submarines, in ship’s propellers, shafts, rigging, and other highly corrosive parts. Titanium is being increasingly utilized for medical applications due to its light weight, its strength, and its hypoallergenic properties as titanium is also nickel free. Titanium products are becoming increasingly utilized in other industries as well, from petrochemical applications to sporting goods. Please note, the ASTM B265 specification covers various Alloys. This Spec Sheet is only for the Alloy listed above. Titanium was originally discovered by amateur scientist William Gregor in 1791 as a reddish brown calx he could not identify. In 1795, Austrian chemist Martin Heinrich Klaproth identified titanium as an entirely new element and named it Titanium after the Greek Gods known as Titans. The Titans were strong and giant deities in Greek mythology and is the root of many words, such as titanic, words associated with great size and strength. Titanium is a naturally occurring element found in the minerals rutile, sphene, ilmenite, and in titanates and many iron ores; titanium is the ninth most abundant element found in the crust of the earth. Titanium is also found in meteorites, in the sun, and in rocks obtained from the moon. Titanium, when pure, is a bright, lustrous white metal. The extraction of titanium from the ores in which it is found is a slow and very costly process, making titanium quite expensive. Wilhelm Kroll is widely recognized as the father of the modern titanium industry. In the 1930s and 40s, he developed the method of manufacturing titanium metal still used today and known as the ‘Kroll Method’. The Kroll method involves creating a titanium tetrachloride (TiCl4) via a process of fractional distillation: the action of chlorine and carbon upon the rutile or ilmenite in which it is found. This titanium tetrachloride is then ultimately reduced to the metallic titanium using magnesium. Excess magnesium is removed from this product with water and hydrochloric acid, leaving a ’titanium sponge’. This ‘titanium sponge’ can then be melted into titanium castings, titanium bars, and other forms using helium or argon. Air is excluded from this process to prevent contamination. The metal burns in air and is the only element that burns in nitrogen. 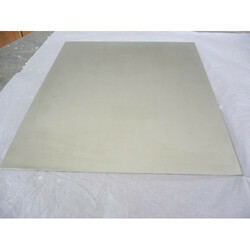 Looking for Titanium Plate & Sheet ?